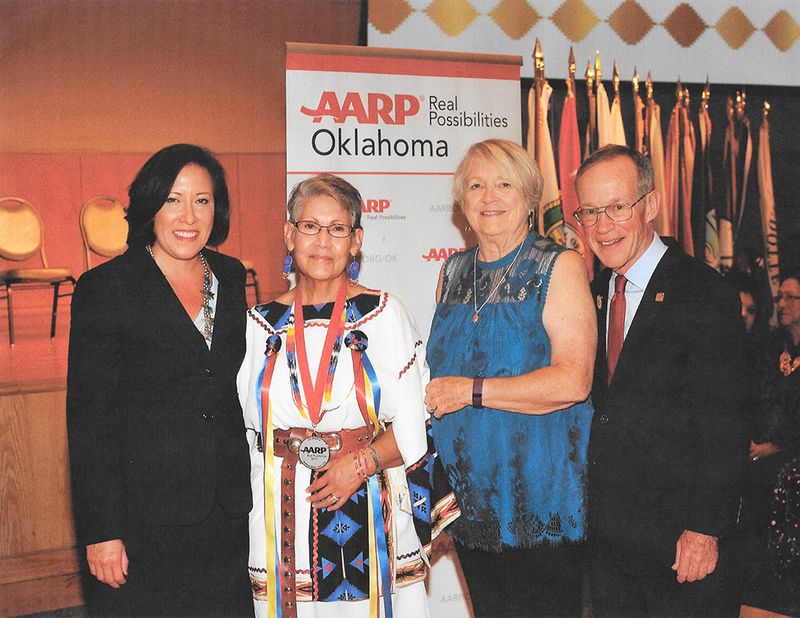 On October 3, 2017 Adele Mihesuah, a member of NICOA’ s Board of Directors, was honored at the Oklahoma AARP Indian Elders Honors for her contributions to her tribal nation, state, and community. We not only want to share this information with everyone, but also celebrate Adele’s award and accomplishments. Adele stated that, “There is nothing I do any different than what everyone should do, GIVE BACK.” Adele has not only given back but she has gone above and beyond to help others, including her community and tribe. Adele is currently serving as the Secretary and the Southern Plains Representative for the NICOA Board of Directors, and is also the Treasurer of the Comanche Nation Elder Council. She has worked as a Personnel Director for the Indian Health Service for 25 years, but had to leave the position to take care of her elder parents. After her parents passed, she began volunteering at the Duncan Regional Hospital Hospice Program. Adele has also been an active and positive presence in the Comanche Nation for decades. 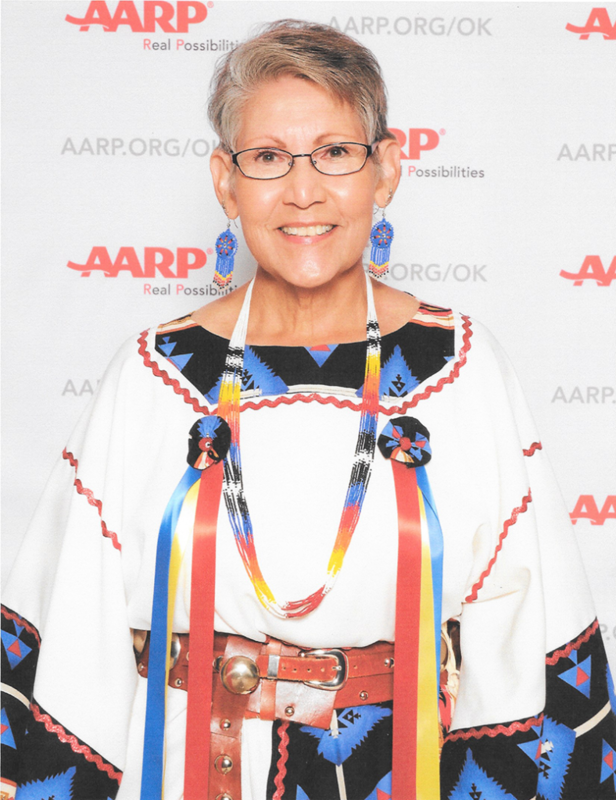 Along with being the Treasurer of the Comanche Nation Elder Council, she also regularly attends and often is asked to speak at tribal business council meetings, she writes columns about the Elder activities for the Comanche Nation News, and she represents the Comanche Nation around the country on Elder trips, which she organizes. She also makes sure that Comanche Elders do not miss out during the holidays. When funds were low last November, Adele paid for Thanksgiving Dinner for 70 Comanche elders; and when the Elders Council did not have enough funds for Christmas gifts for Elders, Adele made up the difference out of her own pocket. This was a great night, there were over 900 Oklahoma Elders and their families there. AARP did a great job making us feel welcome.